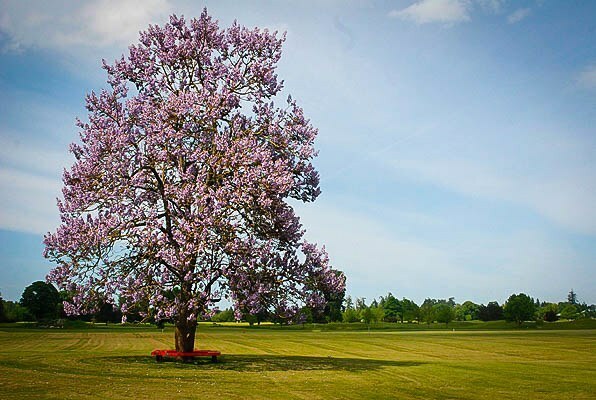 The Royal Empress Tree is a fast-growing, large shade tree that has spectacular lavender-pink flowers on its bare branches in spring. It is tolerant of urban conditions, pollution and poor soil and will grow in most conditions. It has large leaves which can be developed to a very large size for a dramatic garden effect by hard pruning. 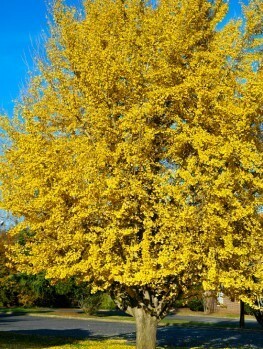 This is a tough and very fast-growing tree suitable for larger properties and gardens. 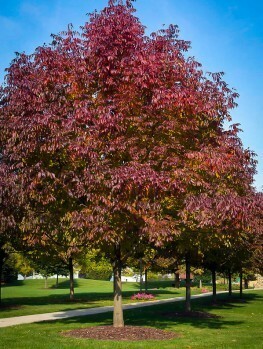 The Royal Empress is perhaps the quickest growing shade tree available. It is extremely beautiful in flower and has large, attractive leaves. 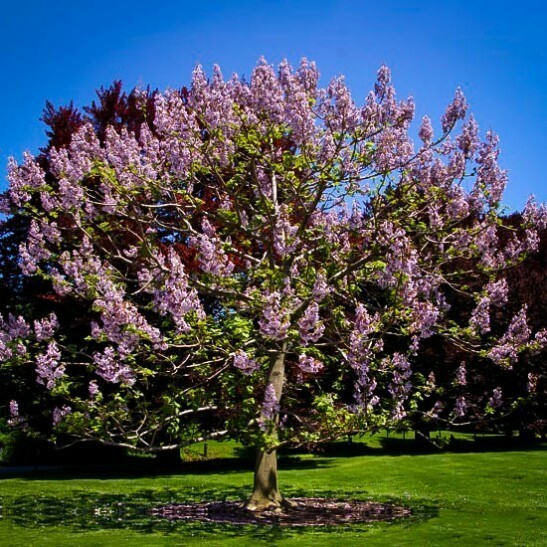 It will grow in any sunny location in warmer states into a large tree that will cast plenty of shade and give you a cool place for your children to play or for barbecues and family gatherings. Since it is a large, spreading tree Royal Empress’ should be planted well away from buildings and power-lines. 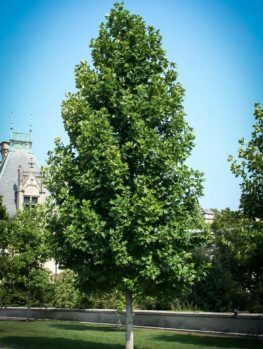 The size and growth rate of the Royal Empress also makes it an excellent specimen tree for larger properties and as a quick-growing privacy screen. Pruned back each year it will produce very large, spectacular leaves which make a wonderful display among other shrubs or behind flowering plants. Grown this way the leaves can be over 2 feet long and make a spectacular statement and provide a tropical look to your garden. As one of the most rapid-growing trees available, the Royal Empress will grow 3 feet a year when young and 10 to 15 feet a year when pruned hard. So you will very quickly have a large and beautiful shade-tree. Once established it is drought tolerant and will grow on almost any soil, even poor, dry ones. 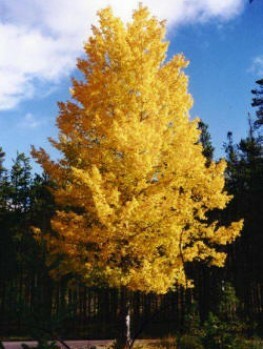 It has no serious pests or diseases and will grow with very little care into a large tree in just a few years. 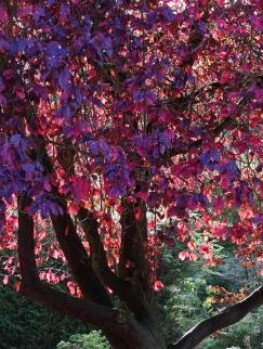 The Royal Empress Tree will grow without any winter damage from zone 7 to zone 10. 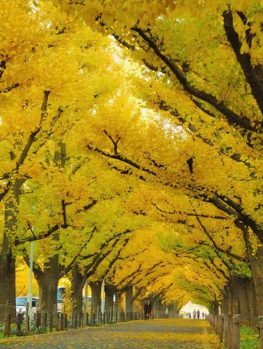 It will also grow in zone 6 and the warmer parts of zone 5, but there its branches may be killed by low temperatures below 00F. However, it will normally re-sprout and since it can grow 10 or even 15 feet a season from established roots it can still be an effective part of your landscaping. It will grow in all types of soil except for heavy, wet clay but the greatest growth rate will occur in well-drained sandy loams with a good organic content. Once established it is drought tolerant and will grow on poor, dry soils. Although many seeds are produced form un-pruned trees it does not establish well from seed in existing woodland areas as it will not grow in the shade of other trees. Allow plenty of room for your Royal Empress Tree. Plant your new tree at least 30 feet from your house and well away from driveways and roads. When planting as a screen or wind-break, allow 10 to 15 feet between the trees. Dig a wide, shallow hole about three times the diameter of the pot. Add some organic material like compost, manure or peat-moss. Place the tree in the center of the hole, put back most of the soil and firm it down well. Add lots of water and when it has drained away finish with the rest of the soil. Water well every week for the first season and after that only when the soil is dry. Choose a sunny position for your Royal Empress Tree, although it will also grow in light shade. It requires no special care and is resistant to diseases and is rarely attacked by pests. In warm areas little pruning is required except to keep a tall, clean trunk so that the branches are clear of the ground to allow clearance for vehicles. In colder areas two pruning approaches are possible. A trunk can be kept and the branches cut back to the trunk each year. This is called ‘pollarding’. It is also possible, and may be necessary in cold regions, to prune it back to the ground each year. Your Royal Empress Tree will grow shoots 10 to 15 feet long in a season, but it will not flower pruned this way. However, the leaves will be very large, often 2 feet or even 3 feet across, making a spectacular display and foliage background for flowering plants in your garden. 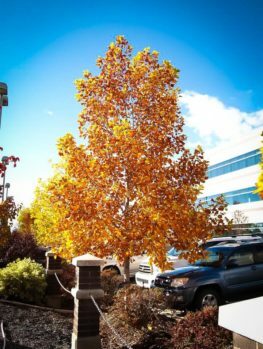 Of course you can also prune your tree in these ways in warmer regions so as to maintain your tree at a smaller size and turn it into a beautiful ornamental shrub with enormous leaves. 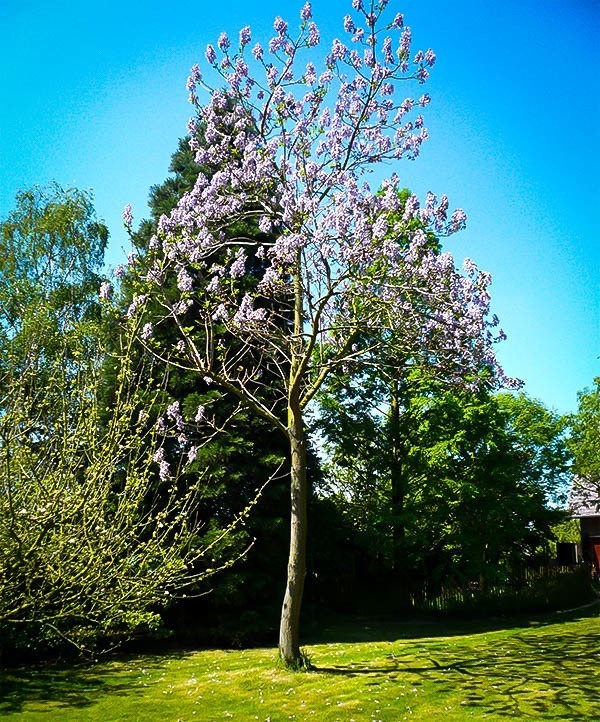 The Royal Empress Tree (Paulownia tomentosa) is native to China, where the wood is used for carving and musical instruments. It was introduced into America in the middle of the 19th century and has become common in several parts of the southeast, where it now grows naturally in exposed areas where other trees do not grow. 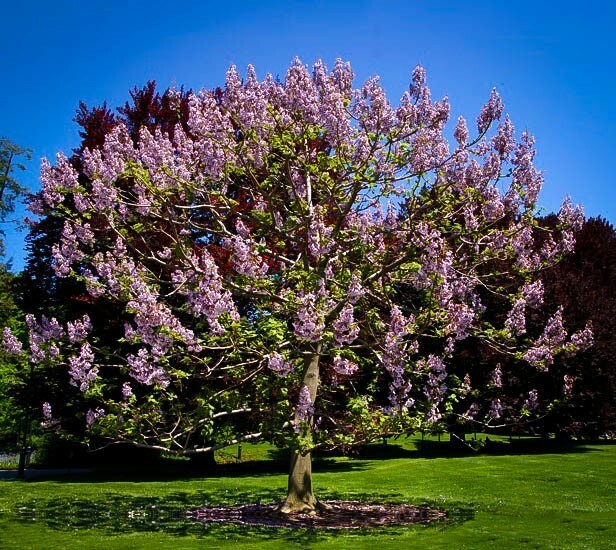 The Royal Empress Tree is named after the Russian Grand Duchess Anna Pavlovna (Paulowna) who was the wife of King William II of the Netherlands in the early 19th century. The Royal Empress Tree grows rapidly to a height of 30-40 feet or even more, with a similar spread, unless regularly pruned. It has sturdy branches with large leaves that are a broad oval shape and 6 to 12 inches long. They are much larger on trees that have been hard-pruned. The leaves have dense, short hairs on the underside, giving them a furry feel. 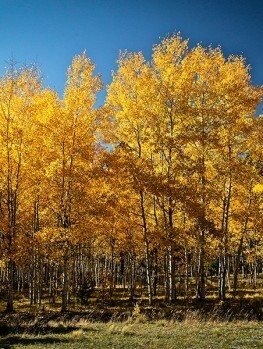 They drop rapidly in the fall after the first frost without changing color. The flowers are produced in spring on the bare-branches and are in large clusters over a foot tall. The individual flowers are 2 inches long, funnel shaped, and they look like Foxgloves. They are a pinkish-lavender color with dark purple spots inside them. The flowers smell a little like vanilla and are edible, so they can be used in salads. Clusters of fat seed-pods follow the flowers. Royal Empress Trees must be produced directly from mature trees absolutely known to be the right species, as only these trees will have the beautiful flowers and rapid growth of this plant. Our trees are grown the correct way, from seed collected from these special trees. Avoid cheaper trees of unknown origin that will only be a disappointment.